The curtain rises just high enough to reveal a long line of tapping feet: a thoroughly appropriate intro, as those feet are the real stars of the show. The plot might centre around a leading lady battle, but this loving backstage fairy tale is really a paean to the chorus – the hard-working foundation upon which musical comedy (“the two most glorious words in the English language,” per the show) is built. 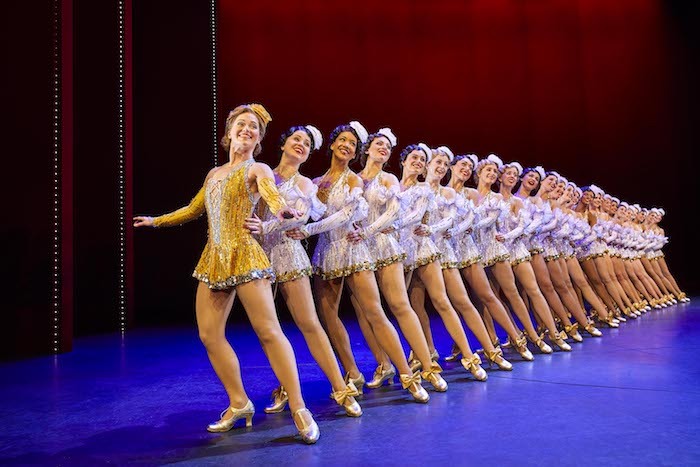 This entry was posted in Journalism, Theatre and tagged 42nd Street, broadway, broadwayworld, chorus, clare halse, dancing, london, musical, review, sheena easton, singing, tap, theatre, theatre royal drury lane, tom lister, west end. Bookmark the permalink.